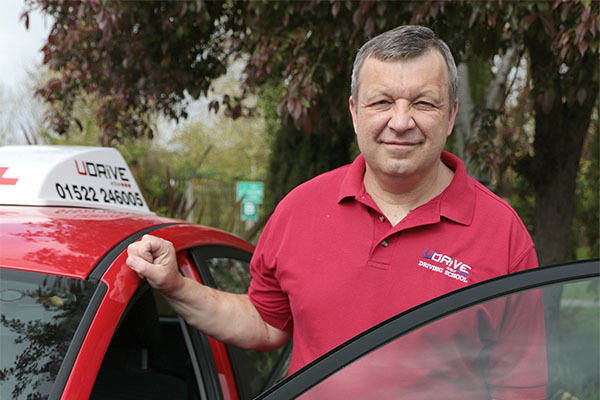 Hi my name is Wal I became a driving instructor in 1991 when I was living in Poland. When I came over to England I wanted to improve my English so I worked long hours at a job in Scunthorpe which I enjoyed, but really I wanted to be an Instructor again here in England. I had to re-take all my instructor tests to become an Approved driving instructor in England. I qualified in 2010 which I was so happy about. Whilst teaching I went to college to improve my English and Joined a national driving school, but now I want a new chapter in my life so I decided to work with U Drive which is one of the best and most friendly driving schools I have dealt with. I enjoy working as an driving instructor meeting different people, I can help with the Polish pupils who struggle with their English, but if possible I like to teach in English as I came here to integrate with the local society and to speaking English language. My Hobbies are swimming and tennis which I love to do, but find it hard to find the time, but saying that I shall try and make some time with my partner. I am currently living in Grantham, I have been here since 2011 and I like the town and friendly atmosphere.